Kenyatta University realizes the importance of the library as a tool for enhancing and facilitating the journey of its students through University. For this reason, KUSOL has taken rapid measures to ensure that its library is of the highest standard possible. The current library at KUSOL can seat 150 students at a go and is open from 7am to 12 midnight weekdays, and 8am to 8pm on weekends. This ensures that as many students who need to use it can do so at hours that are convenient to them. The library boasts of a collection of key legal texts, law reports series, journals, reference materials etc. It also has unlimited access to extensive collections of legal materials via a wide range of electronic sources. KUSOL has subscribed to several online resources and boasts of subscription to LexisNexis an authoritative international online legal resource that is fully accessible to all staff and students. Other relevant electronic journals such as JSTOR and EBSCO can be accessed via the Main Campus Library from KUSOL. This is possible because the two Campuses are connected by a fibre-optic link. 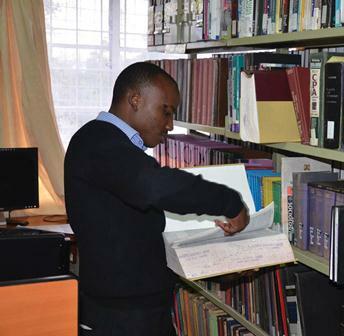 KUSOL students also have access to computers with a searchable catalogue database of all materials held within the Kenyatta University Library System. The library staff are well trained, knowledgeable, dedicated and are happy to guide students through the use of the resources available in the library. On completion of the new School of Law building, the physical size of the library will of course be expanded exponentially as well as all other capabilities and services.